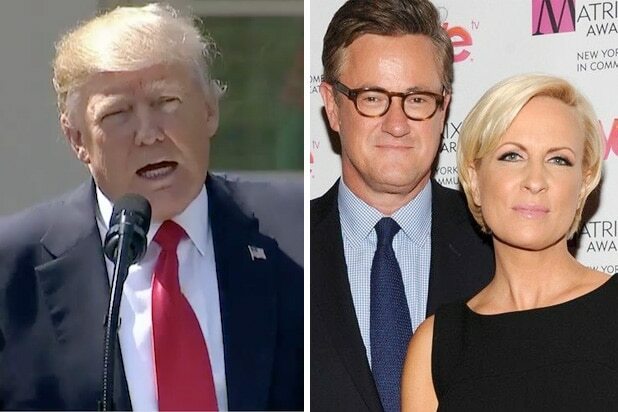 Joe Scarborough returned to “Morning Joe” on Thursday by attacking his industry colleagues at Fox News for repeating President Trump’s lies on immigration. “Fox News. Are they more interested in whipping up frenzy, whipping cultural war saying ‘we are at war, you can only believe us, everybody else is lying’ when so many of you guys have just swallowed the president’s lies whole?” he said. Even though President Trump signed an executive order yesterday, ending the policy of separating families of undocumented migrants, Scarborough and many others on Thursday continued to ask questions about the fates of the more than 2,000 children who have already been separated. “2,300 babies are being incarcerated by Donald Trump’s centralized state,” he said loudly. “What is your response to that moral and ethical question?